With Big Papi's cycle coming to a close, the Boston Red Sox knew they had to send him off with full honors. 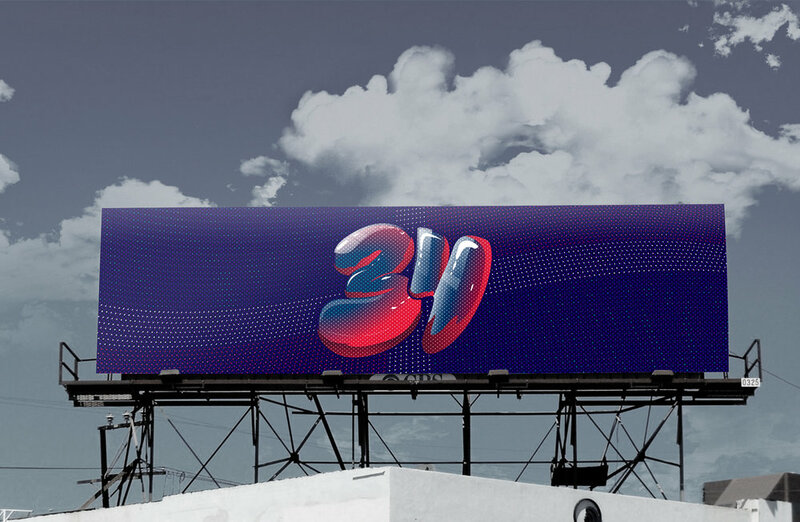 The Boston Red Sox team created a collaborative campaign where they invited local artists and designers to create several renditions of the number 34 (Papi's number) as an homage. The rendition had to be evocative to the legend. With so many eccentricities to choose from, I wanted to focus on an accessory that to me, personified him: his sunglasses. They're loud, bubbly, saturated and distinctive. Additionally, I also wanted to pay homage to Big Papi's home country of Dominican Republic by including it in the background. All 34 graphics were rotated among 34 digital billboards in the Greater Boston Area on Big Papi's farewell weekend, as well as on the Red Sox's Instagram and Facebook page.